Sally Thorne is the USA Today bestselling author of the office rom-com The Hating Game (2016). It is her debut novel that has sold in over twenty-five countries and is being made into a major motion picture, to be directed by Romy and Michelles High School Reunion and The Simpsons Movie director David Mirkin. It was named in the top 20 romance novels of 2016 by the Washington Post and was a top ten finalist in the Goodreads Choice Awards romance category. The Hating Game has been cited as a book that has reinvigorated the romantic comedy genre. 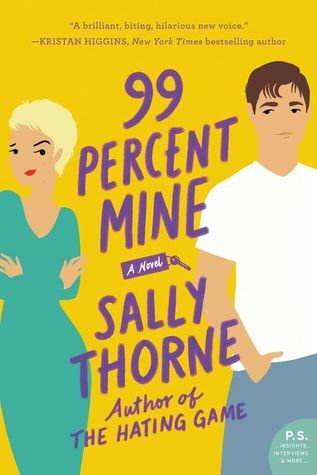 Sallys much anticipated second novel, 99 Percent Mine, was released on 29 January 2019 by William Morrow Books and debuted at #37 on the USA Today Bestseller List.